New Construction! One of the final opportunities to own a home at Countryside Meadows. 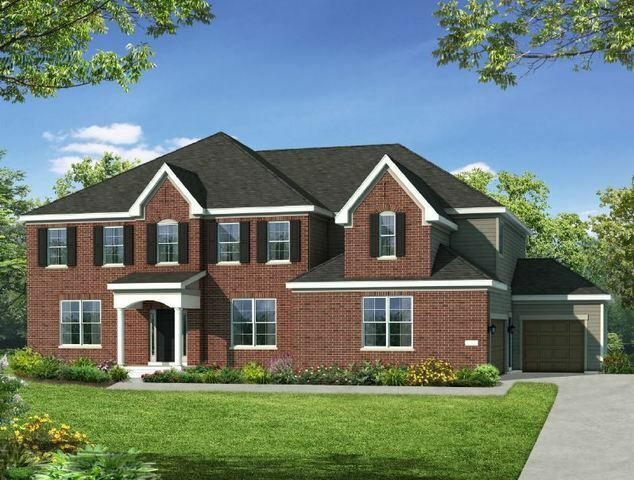 Stunning Windsor plan featuring dramatic open staircase and two story family room. Beautiful gourmet kitchen with stainless steel appliances, Quartz countertops, large island and planning desk. Convenient back staircase. First floor formal living room, dining room and den. Second floor features 4 bedrooms plus laundry. Master suite includes sitting room, ultra bath, and two large walk-in closets. A full deep pour basement, three car garage and desirable cul-de-sac location complete this stunning home. This home is currently under construction with an estimated June 2019 completion. Please note that interior photos shown are of model home and not actual home.